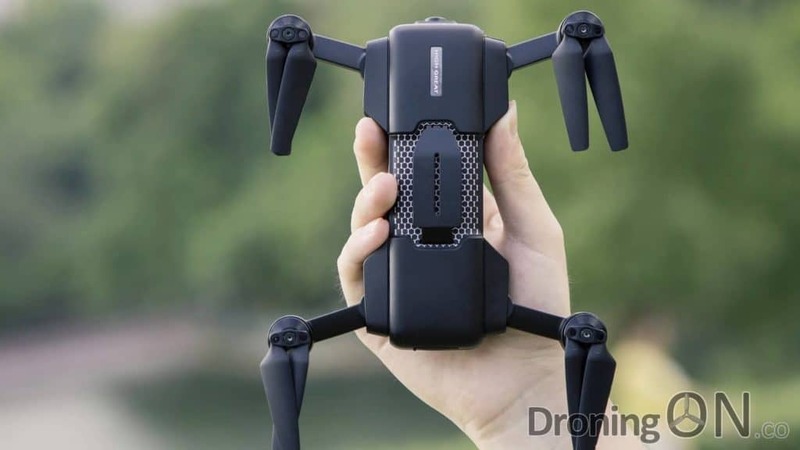 Extreme Fliers has just given a first look at the new Micro Drone 4 product, scheduled to be launched on IndieGoGo in the coming months, but has the value, quality and reliability of product as well as their customer service improved? 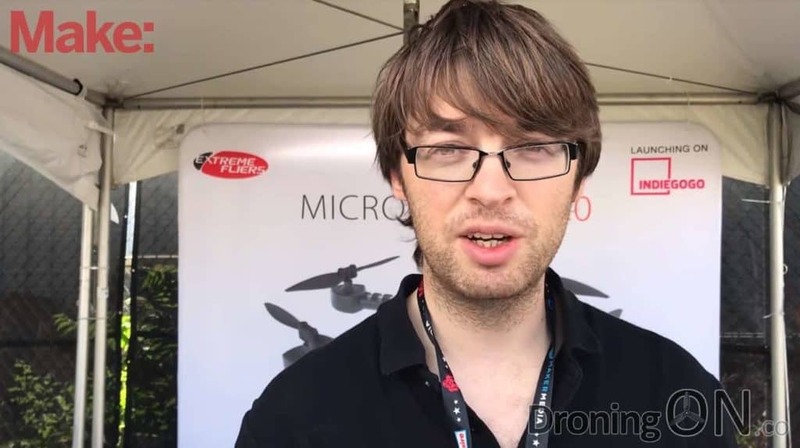 Revealed by MakeZine in an interview at the World Maker Faire, New York, the CEO of Extreme Fliers Vernon Kerswell revealed his latest crowd-fund offering. 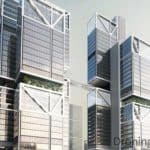 The prototype model appeared to be a roughly constructed prototype, no flying model was mentioned or shown within the interview. 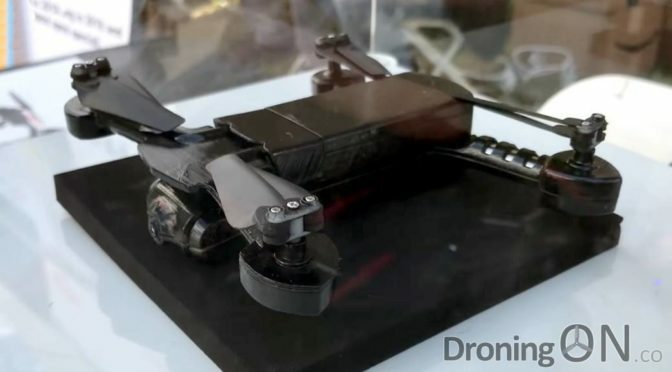 According to Vernon, Micro Drone 4 will launch on IndieGoGo in November and features altitude hold, optical flow for positioning, plus a micro mechanical-gimbal with a provisional price of around $200. 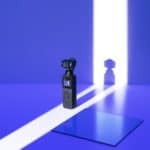 There was no mention of GPS/GLONASS during the interview and considering the low-cost of this product, it is unlikely that it will incorporate satellite-based positioning. 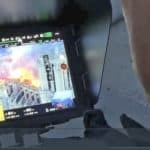 This unfortunately would rule-out long-range flight and features such as ‘Return To Home’ as optical flow positioning is not entirely reliable. 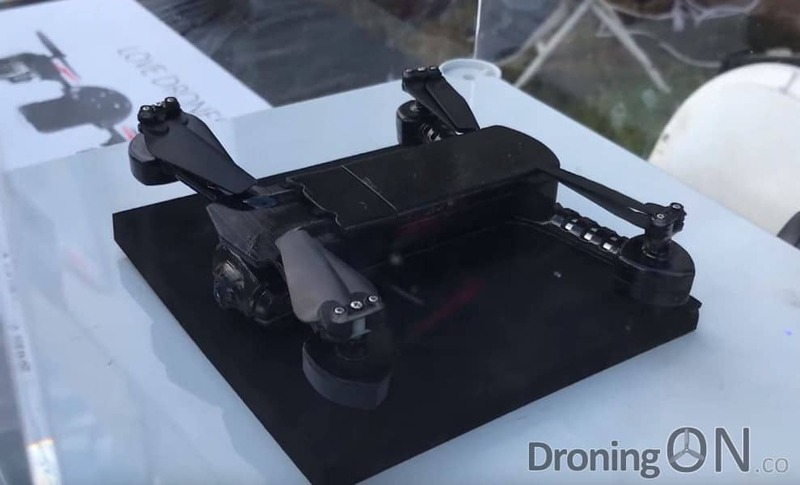 Looking closer at the prototype model of the Micro Drone 4, the arms would appear to be rigid instead of foldable, this would be a big miss for Extreme Fliers as portability is a key consumer attraction in the market (Update 08/10/18: The arms are now confirmed as non-foldering by Extreme Fliers). The motors appear to be brushed instead of brushless (which is fair considering the low price-point) and are well-embedded into the body of the arms, this could be an overheating concern as brushed motors can become pretty hot during prolonged flights. The new model from Extreme Fliers reminds us of the High Great ‘Mark’ drone reviewed recently by DroningON, the similarities in appearance are striking (shown below). The ‘Mark’ drone from High Great, reviewed recently by DroningON. 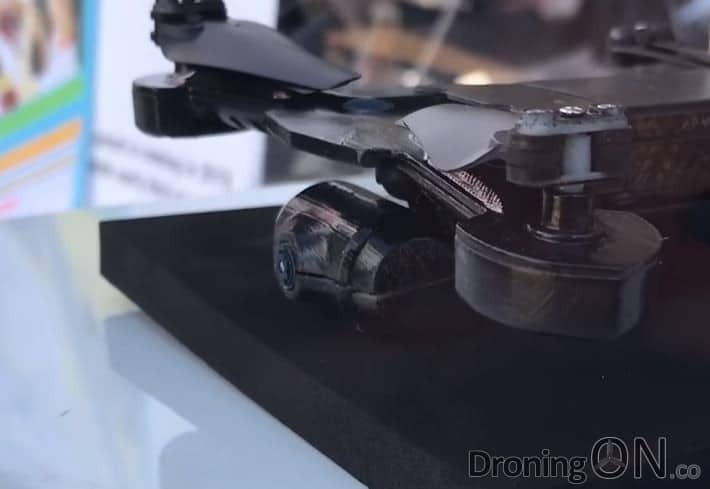 The new Micro Drone 4 shares many visual attributes with this drone. The camera gimbal is now fully revealed in this prototype and so the full capability is hard to determine, but we suspect that only a mechanical pitch (up/down) axis will be present to orientate the camera upwards and downwards during flight, therefore roll and yaw stabilization is likely to be via EIS (Electronic Image Stabilization). This method generally delivers unsatisfactory results. There was no mention of a transmitter and therefore control may be via mobile phone and WiFi. Extreme Fliers has previously bundled a poor quality off-the-shelf 2.4ghz transmitter with their previous range, we hope that this product will get a transmitter make-over. 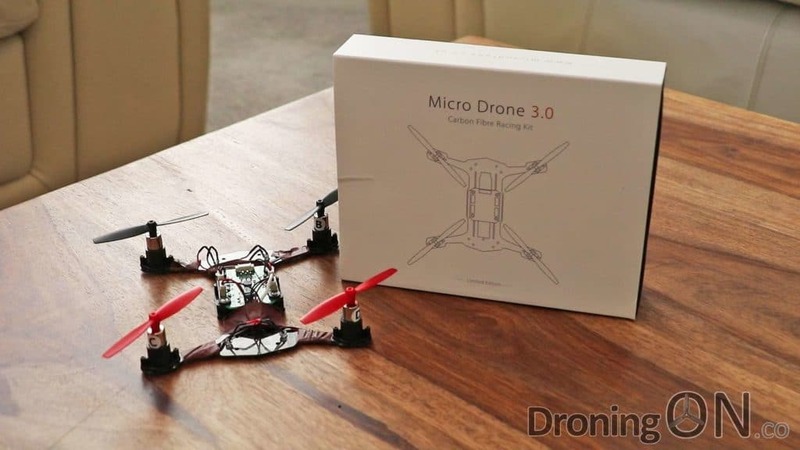 Launched in 2011, the original Micro Drone was successful in sales as a first product for Extreme Fliers. The 2.0 version launched in 2013, followed shortly after by 3.0 which raised $3.5m via IndieGoGo. 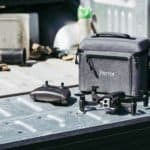 However throughout their history, the Micro Drone range has been criticized for poor quality control, latent customer service and for being overpriced in comparison to the market. We reviewed the previous generation Micro Drone 3 as well as the Carbon Racing Kit set, both suffered from issues with reliability and failed proprietary flight controller boards, plus both are priced top-end in comparison to the many alternatives which have since flooded the RC/drone market. 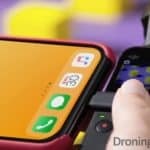 With the new model, Extreme Fliers may have dumped their proprietary board and replaced it with a Qualcomm version, this will be good news for quality control and hopefully reliability as well. As soon as the campaigns launches, we will provide a full analysis. Be sure to join the DroningON Discussion Group for the latest news, reviews and exclusives from the drone industry.